The main reason to make a Spanish Will is to ensure peace of mind and know that when you pass away you will not leave your loved ones with additional stress, extra costs or numerous problems to sort out. Who needs to make a Spanish Will? It is by no means compulsory to make a Spanish Will, but it is highly advisable in order to make things easier for your heirs. The European Regulations 650/2012 will be applicable to deceased EU citizens on or after the 17th August 2015. Accordingly, concerning the aforementioned regulation, the law of succession will be that of the country the deceased had his/her habitual residence at the time of death, unless they choose expressly their National Law of their own country at the time of making the Spanish Will. For instance, if you are English and living in Spain your succession will be governed by Spanish Law (which is incredibly strict and does not let you choose your heirs) unless you have chosen for your Will to be in accordance with English Law. In other words in most cases foreign EU resident will have to draft a new Spanish Will including the clause for their National Law. If you are not sure which law will apply to your succession or if your Will should be updated, we can assist you. We will draft the Spanish Will in double column, English and Spanish for you to fully understand it. 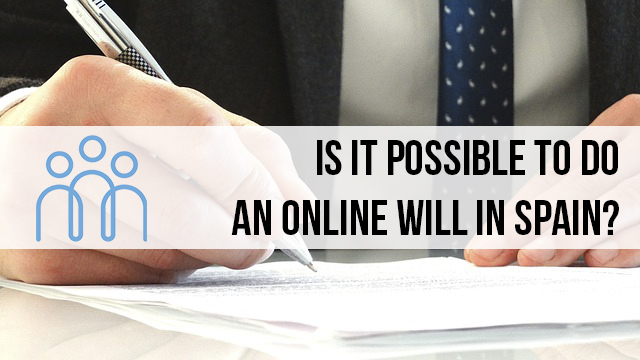 Is it possible to do an online will in Spain? A will is a legal document made by someone who wants to give instructions of their wishes before they lose capacity to do so. 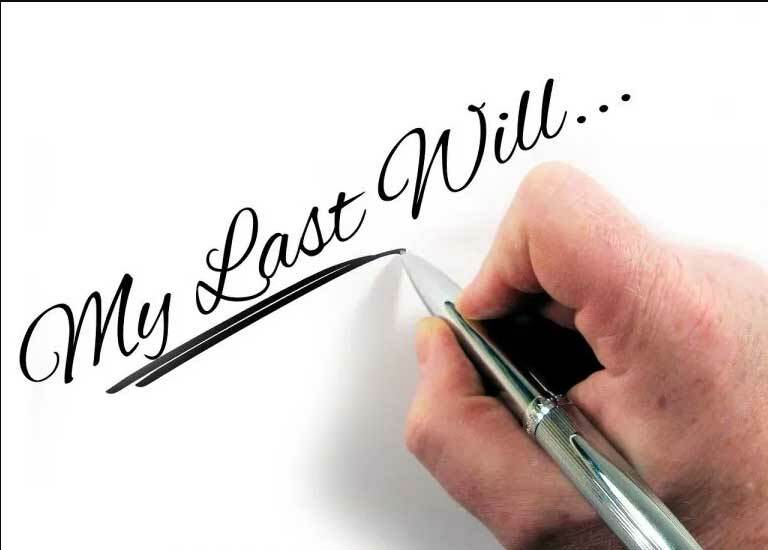 A will, or a testament, must be made by an adult person that is free to use their full mental abilities and it must be fulfilled when that person is deceased or no longer able to use their faculties. In some cases, a person can designate a representative or spokesperson so they can establish communication with doctors or medical staff. This spokesperson can be a lawyer or a solicitor. Their mission is to make sure that the wishes exposed in the testament are suitably fulfilled. It is important to bear in mind that at the moment it is not possible to make a fully online will from the comfort of our homes. Nowadays, many webs and online platforms offer a service of online will making. They listen to a person’s wishes, create the legal document, or testament, and book an appointment with a notary so the interested person can sign the will. It is recommended to ask a lawyer or a solicitor for legal advice before you make your will. A law professional can help you understand exactly what to put in your will and what are the steps in the process of making a testament. In the area of Axarquía there are many expats and non-residents that own real estate in localities like Alcaucin, La Vinuela, Velez-Malaga or Nerja etc. They are very concerned about how to make their last will in order to assure the total protection of their heirs and beloved ones. If you find yourself in a similar situation, don’t hesitate to consult our solicitors about your will.